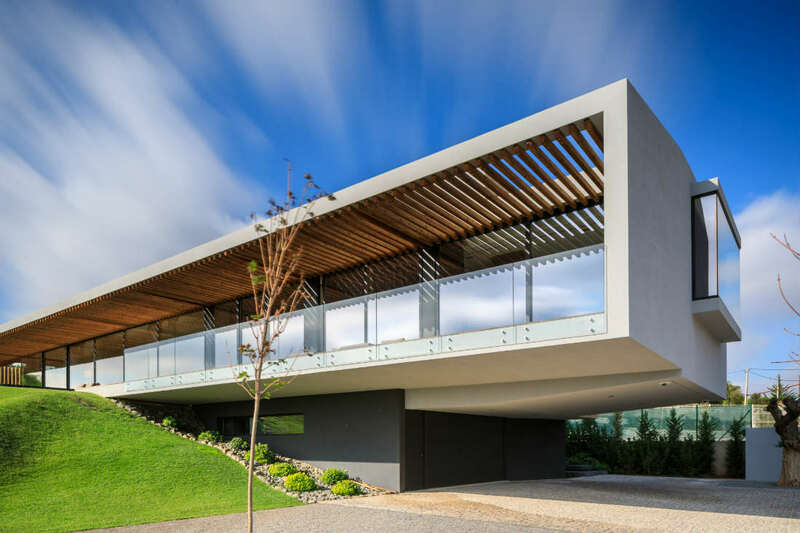 Spectacular Portuguese home serves as Sparks Custom Electronics showroom, with automated Tesla power-storage system, infinity pool, koi pond, audio, video and more, controlled with an Elan home automation system. Thanks to an ELAN system and some clever architecture, this home/showroom combo can showcase exactly what products from Sunfire and SpeakerCraft are capable of when installing in a home. The Algarve region, spread out along the southern coast of Portugal, is a sun-soaked sliver of southern Europe that is turning up on “must visit” lists all over the world. 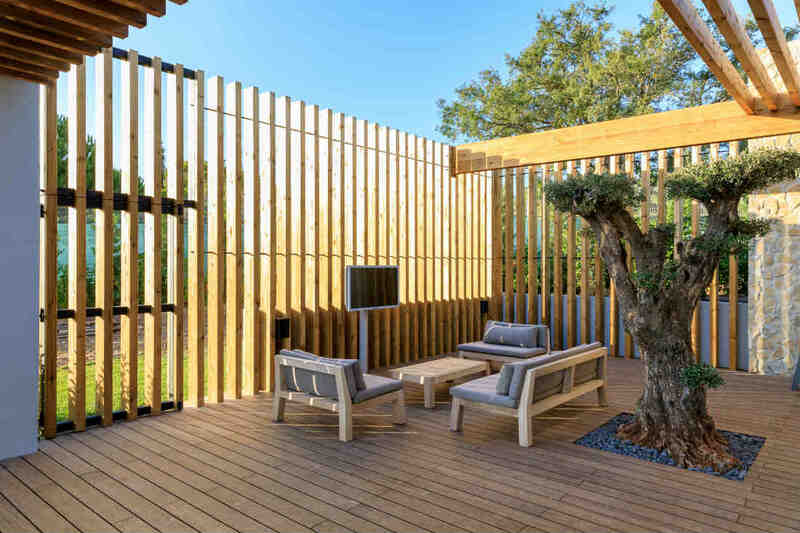 When Bart Hoogwerff Eikelenboom, Founder of Netherlands-based Spark Custom Electronics set out to build a home and A/V showroom in one, he quickly settled on Algarve as the place to demonstrate his most trusted brands, including ELAN, SpeakerCraft, and Sunfire by Nortek Security & Control (NSC). “I wanted this home to emulate the vibe of the Algarve region, making it as comfortable and easy as the surrounding region by using architecture and technology,” Eikelenboom says. The technology ties together every aspect of the expansive 6,000-square foot space, which was designed by noted architect Vasco Vieira. Outdoors, a suspended infinity pool overflows into a smaller pool on the garden level below; olive trees bloom in the expansive garden beside a koi pond, and a sprawling concrete terrace offers ocean views. 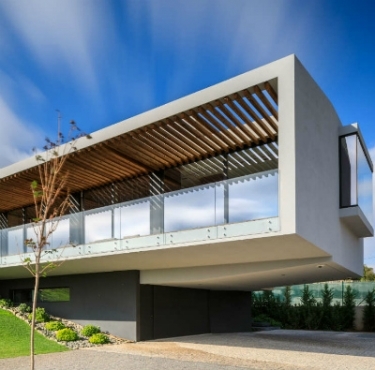 Indoors, a home cinema, gym, multiple bedrooms and bathrooms all showcase the minimalist architecture and design. In all, ELAN controls the home’s audio, video, lighting, climate, automated shades, irrigation, pool and spa, security, biofuel fireplace, and the filter system in both the outdoor koi fish pond and infinity pool. Eikelenboom’s family is able to control the system from anywhere in the home, using the ELAN App on their smartphones, or several strategically placed ELAN 12-inch in-wall touchpanels throughout the residence. They are also able to easily check in on every subsystem remotely, including monitoring security camera footage from their smartphones. While initially designing the system, entertainment was the focal point. That’s why Eikelenboom configured each room to include sound amplification and control from ELAN Multi-Room Amplifiers, paired with dozens of SpeakerCraft loudspeakers and Sunfire subwoofers. “The speaker placement and the bass delivered by the in-ground sub helps connect the house and the outside surroundings, which also gives a friendly and lively feeling." Eikelenboom also incorporated several architectural elements throughout the house to amplify sound even further. For example, the living room’s fireplace is made of SINH board—a fire-resistant material with excellent acoustic properties—supports the sound system. The sound system continues to the outdoor area, which features breathtaking ocean views, a suspended infinity pool, a koi fish pond, and a full outdoor kitchen and patio. “The SpeakerCraft OE Series loudspeakers together with the in-ground SpeakerCraft Boom Tomb subwoofer provide a crystal-clear audio experience in the open air,” Eikelenboom says, noting that the outside space was specifically built to blend in with the natural surroundings of the region. This outdoor A/V space doubles as both a demo space for products and a relaxing place to unwind after a long day of work. In addition to seamless control of the whole-home audio system, Eikelenboom uses the ELAN system to control and filter the outdoor pool and koi pond. The infinity pool is unique in that it is suspended, and flows directly into the koi pond below. The overflow area contains the pool’s filtration system, and both the koi pond and the pool run on two separate systems, but work together in a very efficient way. The home is also extremely energy-efficient, as a Tesla Powerwall stores excess energy from solar panels to provide power at night. The solar panels on the roof heat the water from the ground, which also provides the floor heating. Additionally, the swimming pool pumps in the basement consume fifty percent less energy than usual. Take a look at the slideshow to see photos of the home/showroom combination! Hoogwerff Eikelenboom admits that his dream house was not achieved without a few bumps in the road during the construction process, but he is proud to be smoothly showcasing his home installation business with ELAN, SpeakerCraft, and Sunfire playing major roles.